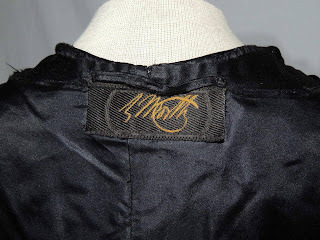 All The Pretty Dresses: Kimono style Teens Era Coat by Worth! This gorgeous Worth evening coat is made from a large scale netting with a satin stitched embroidered floral design. 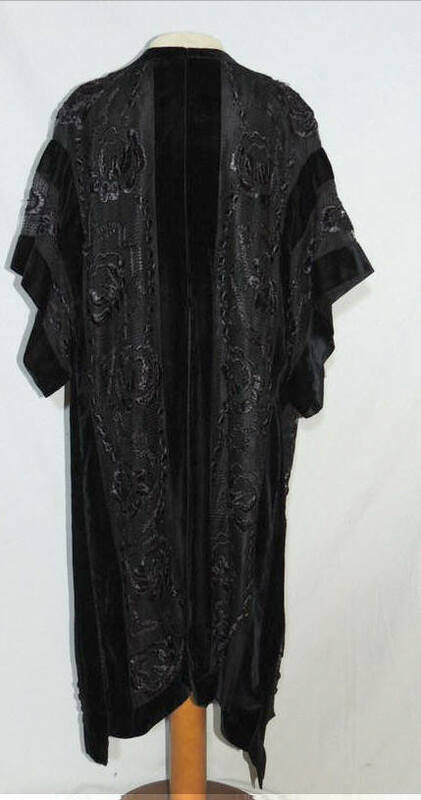 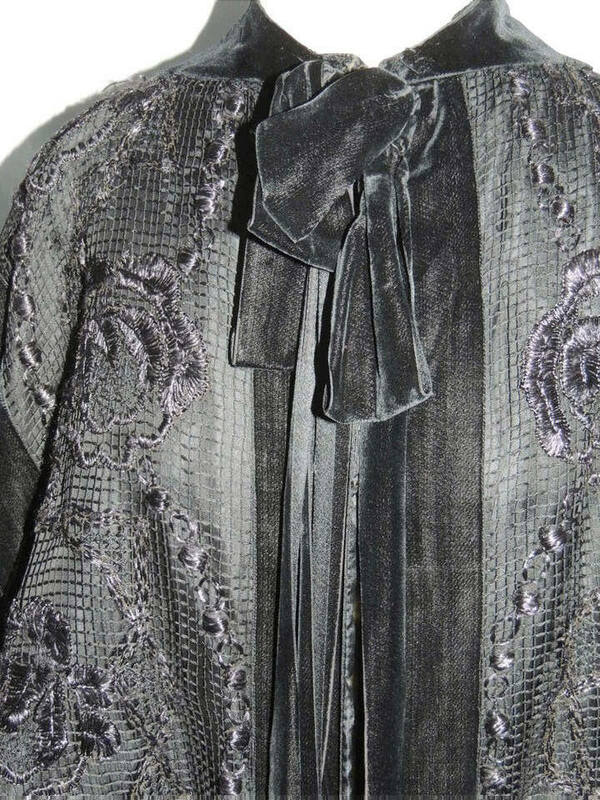 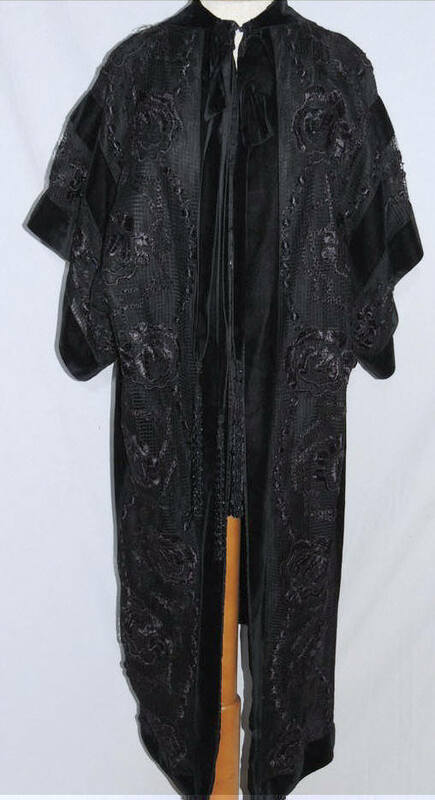 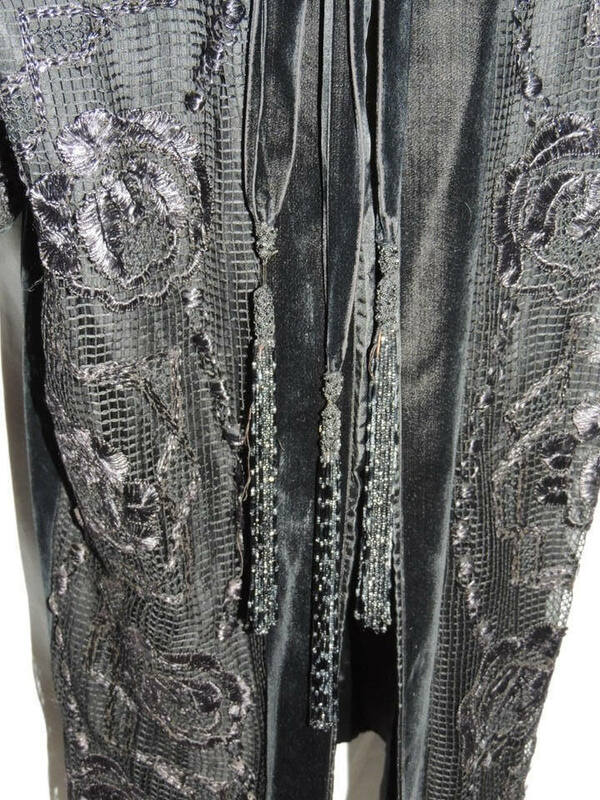 It has wide band of silk velveteen, short kimono styled sleeves, lined in black silk satin. There's slits on the side seams, the front hangs longer by a few inches than the back. There's hooks and eyes in front with 2 bows at the neck and long ties with jet beaded tassels. 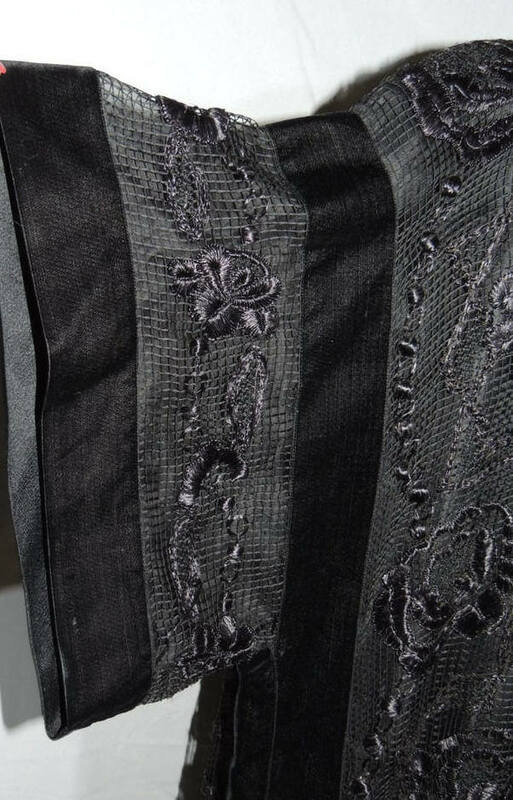 It has a few broken threads, the seam on the inside shoulder lining needs to be closed and one tassle is missing. 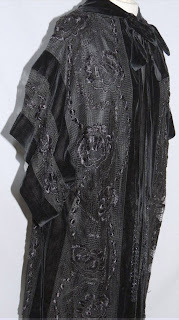 It measures 44 inches around the bust, hips are 50 inches and it's 49 inches long. By the way it fits me, I would say up to a sz 8-10, smaller is OK.